Farm Fresh Eggs!! Do you have them? We sure do!! 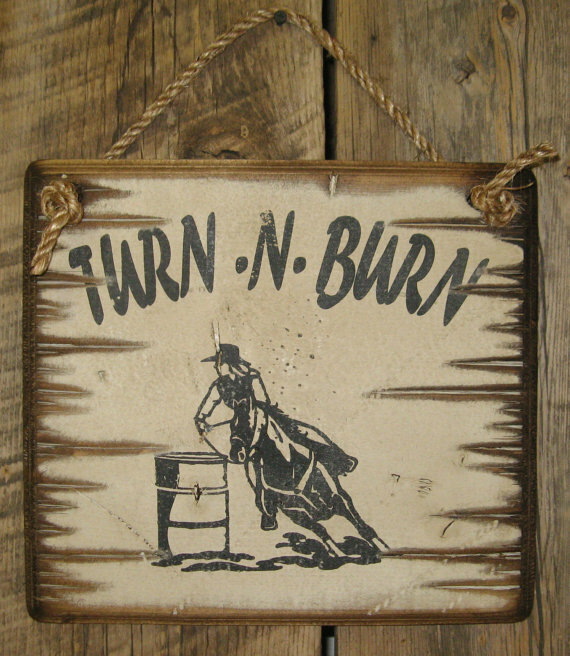 This black background sign measures 11×18 and comes with the grass rope hanger for easy hanging! Handcrafted with pride! Barn Goddess! 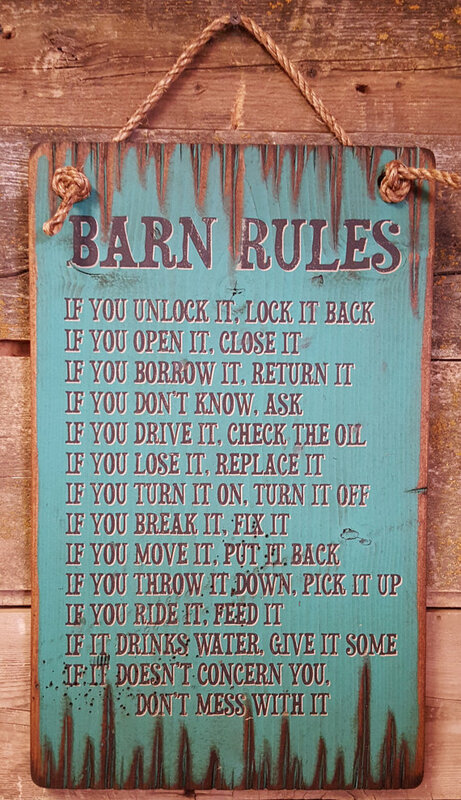 I think that some of us cowgirls all feel like we are “Barn Goddess” sometimes! 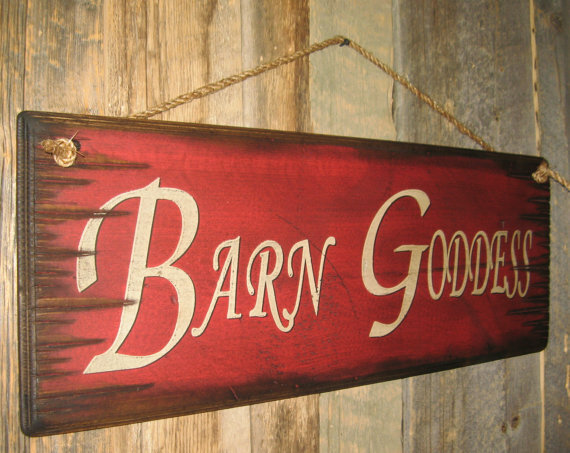 Hang this in your barn or outside your tack room to let everyone know there is a Goddess at work! 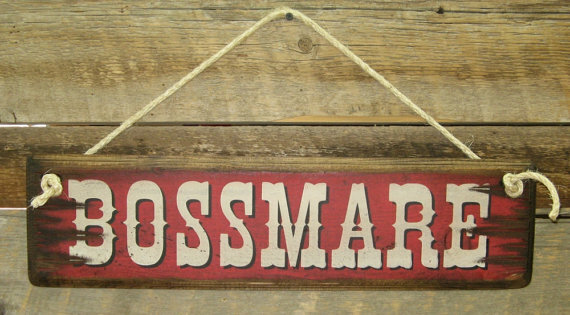 This red background sign measures 11×30 and comes with the grass rope hanger for easy hanging! Handcrafted with pride! Happy Trails! 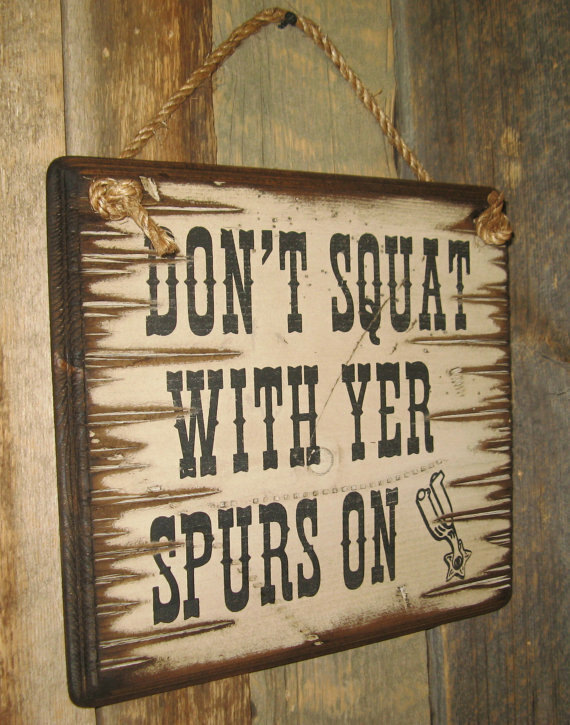 This cute little western sign will tell you guests to have “Happy Trails” wherever they may be headed. 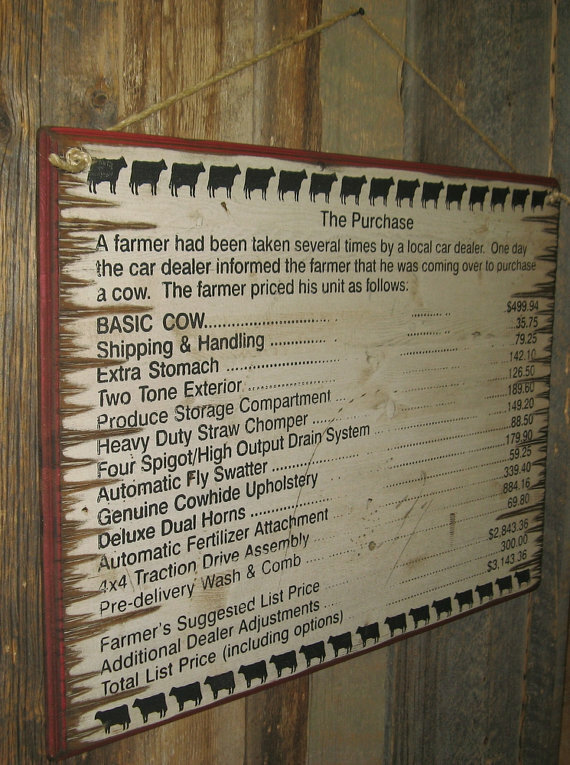 The sign measures 5.5×22, is light yellow and comes with the grass rope hanger for easy hanging. Handcrafted with pride!! “Pony Express” Wooden Sign. Just like the advertisements in the good ole days, this wooden Pony Express Sign is requesting the “young, skinny, wiry fellows, not over 18” to sign up for this historic movement. They must be expert riders, willing to risk death daily. Orphans preferred. $25 a week. 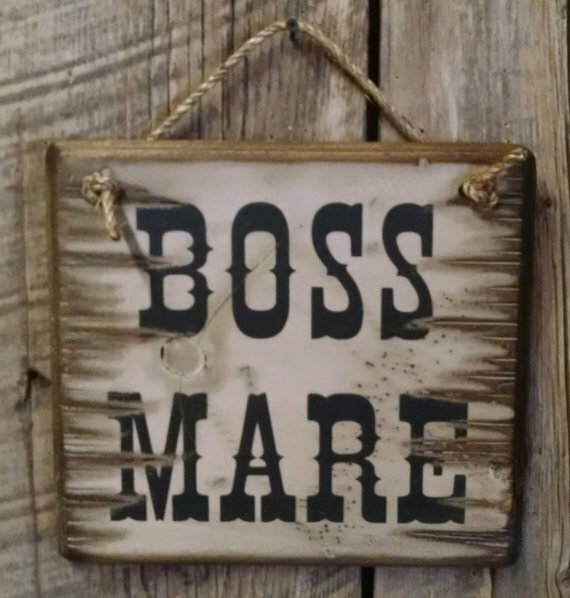 Apply at the Pony Express Stables in Silver City, Nevada. 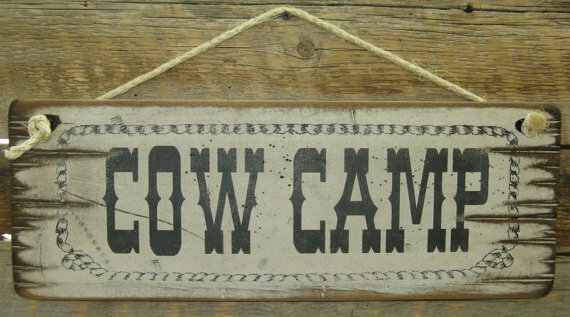 This light yellow sign is 11×20 and will come with a grass rope hanger for easy hanging. 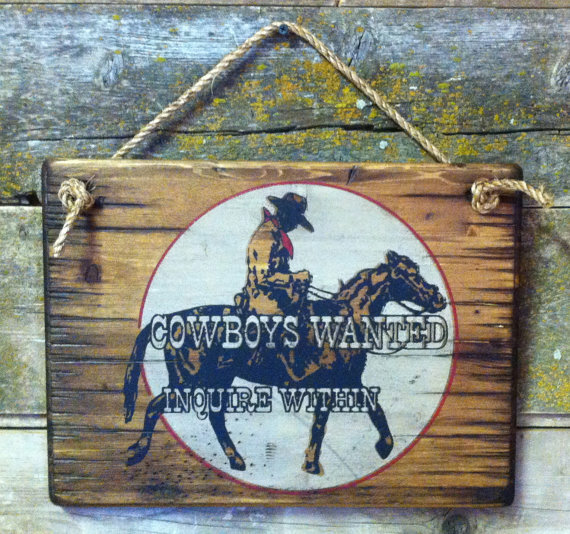 Cowboys Wanted: Inquire Within! 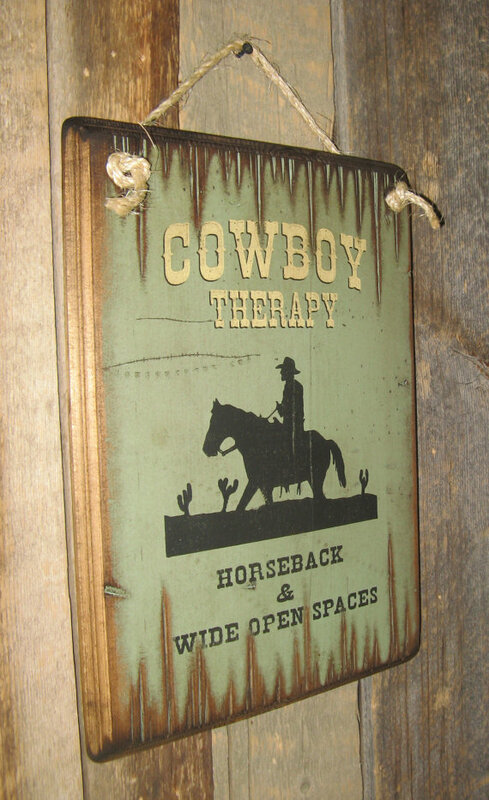 This rustic, western sign has a quaint graphic of a cowboy on a horse. The background of the sign is natural and it measures 11×15. 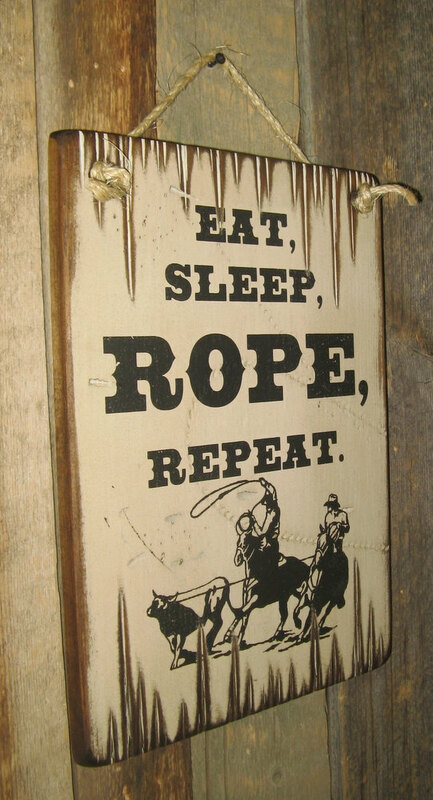 This sign comes with the grass rope hanger for easy hanging. Handcrafted with pride! Ride Hard, Or Dont Ride At All! 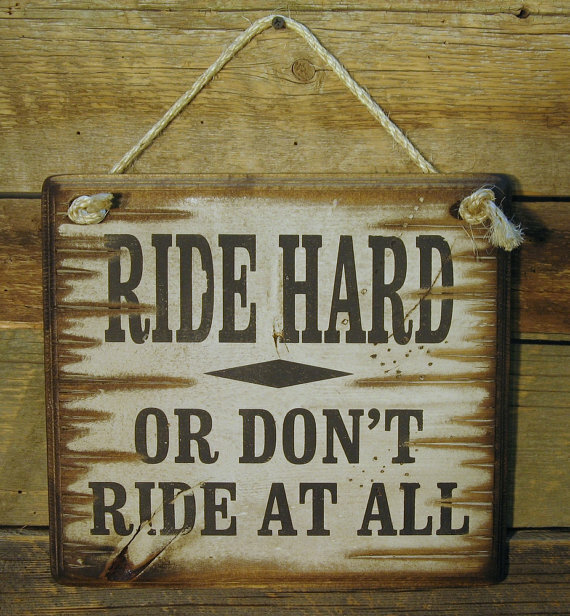 This reminds you to give it 110%, whether its riding your horse or your Harley! This white background sign measures 12x12 and comes with the grass rope hanger for easy hanging. Handcrafted with pride! got horses? For most of us country folk, this is a question that comes up all too often. 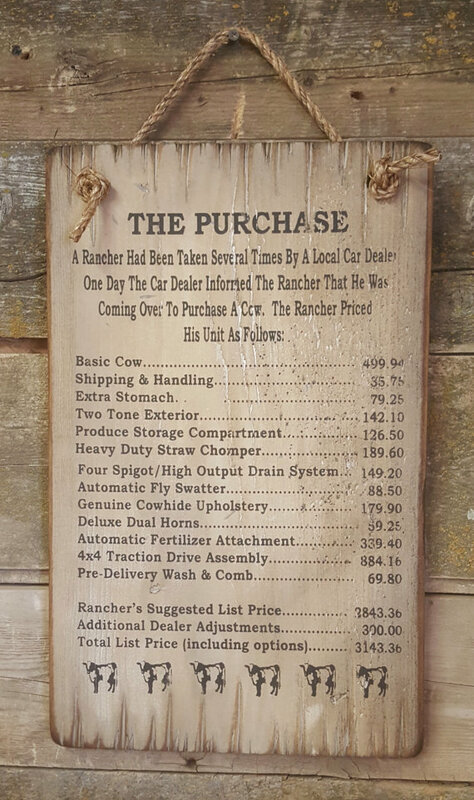 This white background sign measures 5.5x19 and comes with the grass rope hanger for easy hanging. Handcrafted with pride! This turquoise background sign measures 11x18 and comes with the grass rope hanger for easy hanging. Handcrafted with pride! 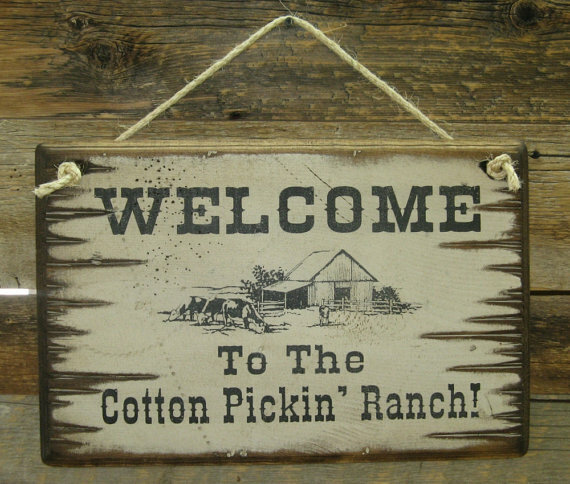 Welcome To The Cotton Pickin' Ranch! 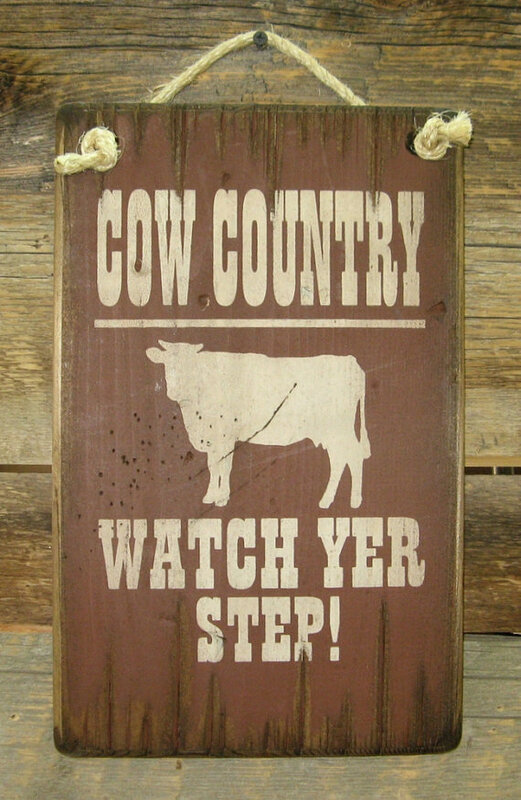 This humorous welcome sign measures 11x17, has a white background and comes with the grass rope hanger for easy hanging. Handcrafted with pride!